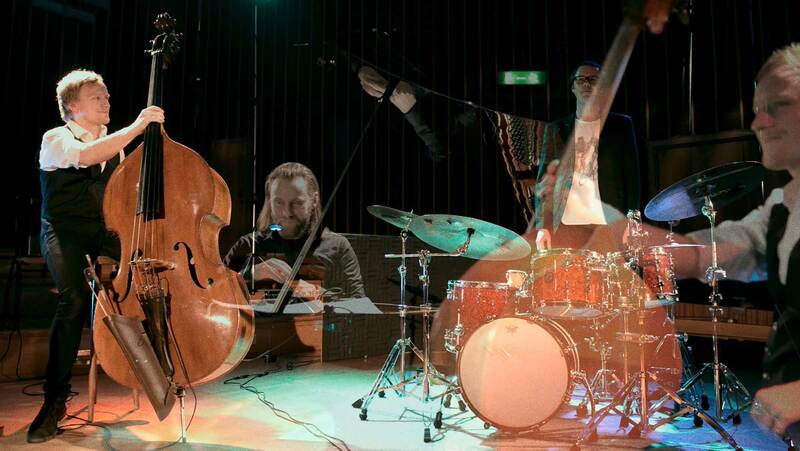 After thirteen years of existence, the trio is still one of the most genre-defying and original groups on the Scandinavian jazz scene. With Andreas Ulvo on the piano, Sigurd Hole on bass and Jonas Sjøvaag on drums, the band is otherwise well connected and frequently plays, individually or collectively, with many other remarkable Norwegian musicians such as Karl Seglem, Jon Eberson, Tord Gustavsen, Mathias Eick and many more. On their latest record, classical music and its mode of presentation have been given special attention. Hear it on the track ‘Curious Child’, a composition by Sjøvaag, inspired by Schumann’s ‘Kinderszenen’ and also a direct link to Sjøvaags past as a classical pianist, where the phrases are timed according to length and narrative quality rather than more traditional approach of periods and standard form, thus resulting in a piece where the musicians are working both with and against each other, and where dynamics are played with utmost precision. For the opposite, listen to ‘Close your eyes’ by Ulvo. A piece where Sjøvaag & Hole creates a staccato rhythmic bedrock upon which Ulvo can show off his unique improvisational skills and the group builds the arrangement to a structure reminiscent of Arvo Pärt played by Jarrett / Garbarek / Danielsson / Christensen.